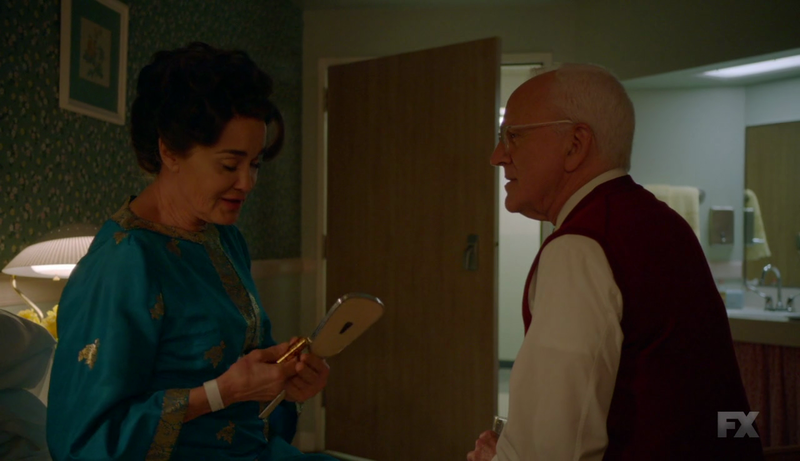 While Joan Crawford (Jessica Lange) is at the Cedars-Sinai hospital, George Cukor (John Rubinstein) pays her a visit. 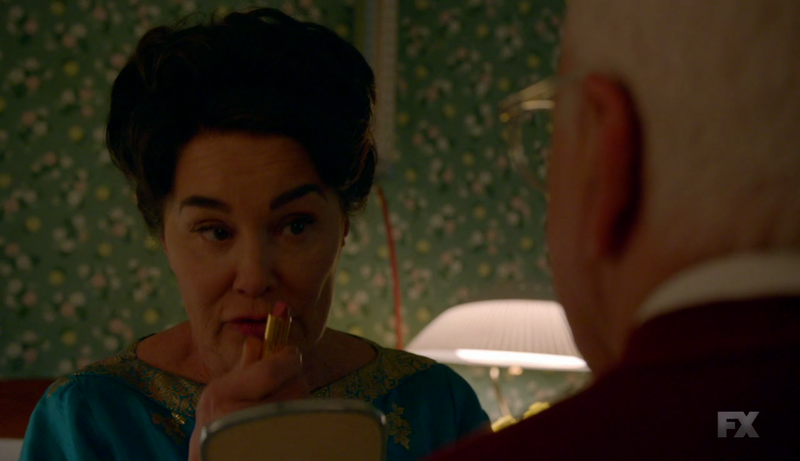 While they’re talking, she puts on some pink lipstick. 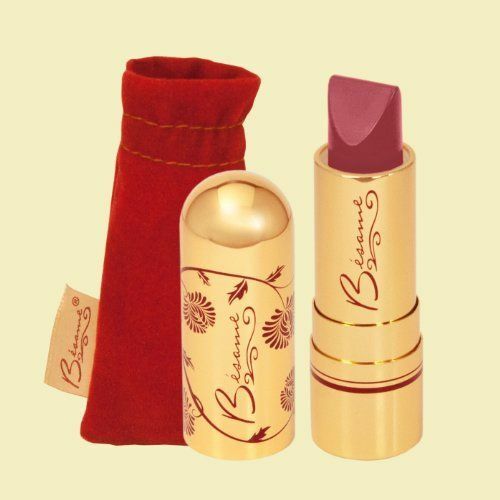 It’s by Bésame Cosmetics: the shade looks like Dusty Rose. 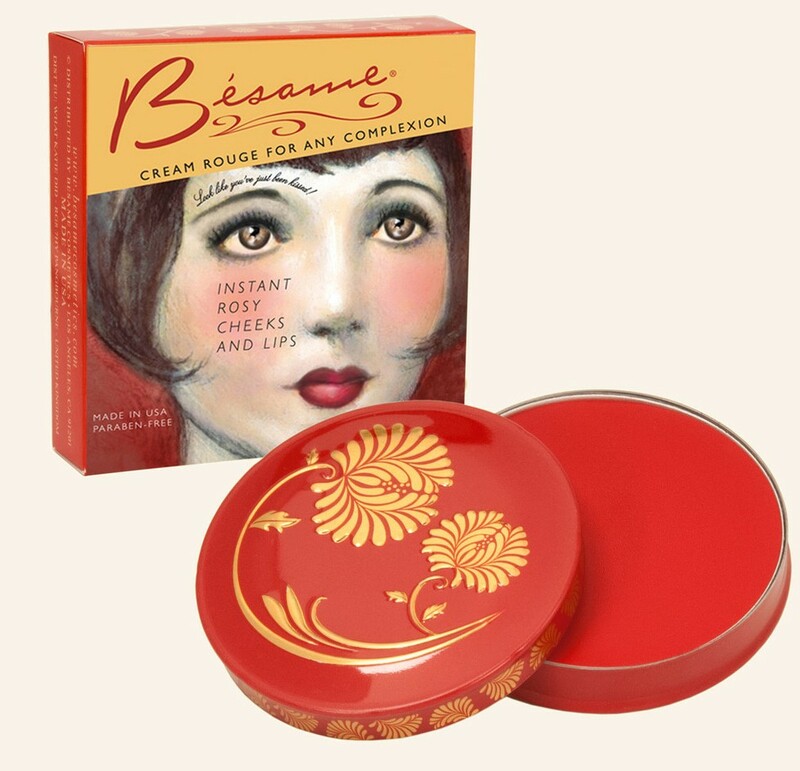 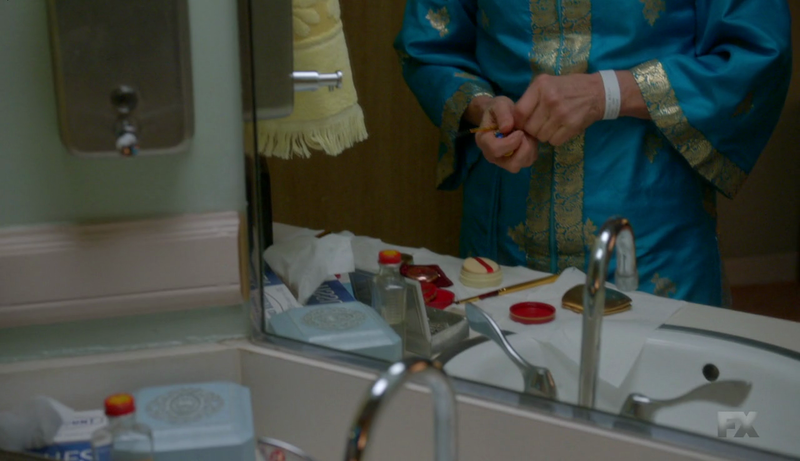 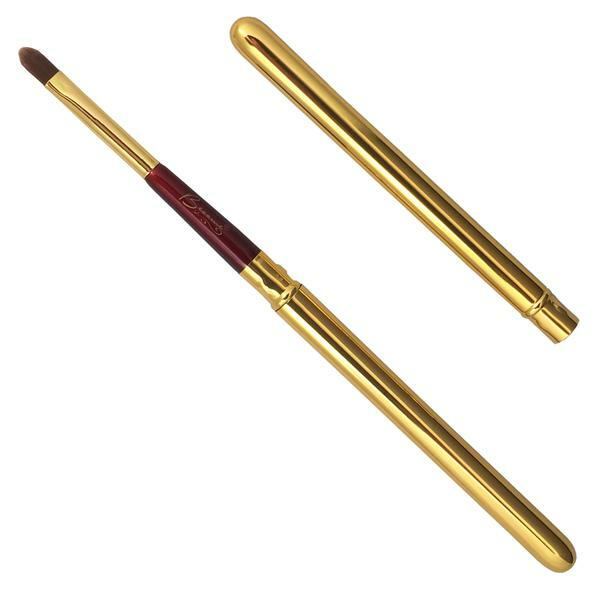 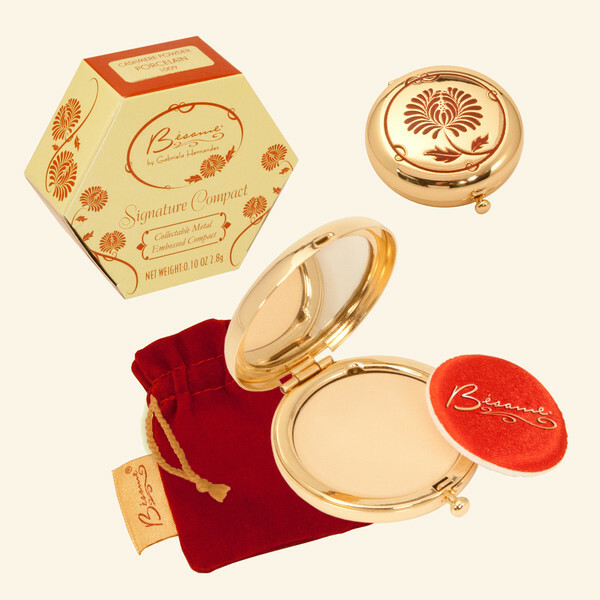 There are other Bésame Cosmetics products by the washbasin in her hospital room – a powder compact, a cream rouge, a brightening face powder and a travel lip brush.